As is always the case with fishing, your choice of location can have a lot to do with success. With ice fishing, where you fish on the water can often be more important than the choice of reservoir. Typically, ice fishers tend to set up close to the parking area and rarely venture away from the crowd. Why? Maybe it’s convenience. Maybe it’s a belief that other anglers have it figured out, or maybe it’s something else. Regardless of the reason, unless the crowd is doing well, you’re often better to move off a decent distance and fish areas that haven’t been pounded. Doing so can have its benefits. It often puts you in places where fish are in greater numbers, and are less pressured. Less-pressured fish are often more likely to take your offerings. Bottom line is never assume where folks are fishing is a good spot, and if you’re not catching, move. Dillon Reservoir inlets continue to produce a few fish — rainbows, kokanee and even a char now and then. Most are being caught on jigs tight to the bottom, orange and green being good colors. Tipping the lure with a wax worm or even a salmon egg is a good idea. Starting early has also been a good tactic. 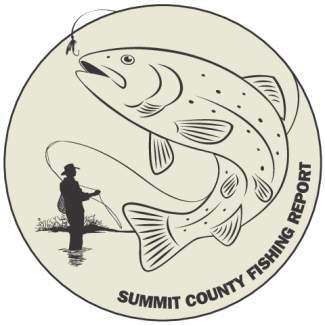 Green Mountain Reservoir has been producing good numbers of small lake trout, especially to the north. Working jigs tipped with a sucker in 30-80 feet of water has been the ticket. Popular colors are white, glow and green. South Park waters have been hit or miss for many anglers. Eleven Mile Reservoir roads are in great shape, and the lake has a foot-plus of ice. Most fish are coming to morning anglers. Antero has places of slick ice, so cleats are recommended, especially if you plan to walk any distance. Most reports indicate the fish are cruising near bottom. Action has been steady, but not fast. Changing presentations lures and baits has been the key for some, as everything seems to produce an occasional fish. Tarryall Reservoir has been doing well early in the day on small green jigs tipped with a bit of shrimp. Jefferson Lake access is once again dicey as there’s little snow for the snowmobiles. Granby Reservoir is fully capped. The best ice at this time is near shore or at Arapahoe Bay. Use caution on the main body, especially if you’re on a snowmobile. Those fishing near the dikes are reporting an occasional small lake trout, but the action has been slow. Working shallow waters, or just under the ice often produces a few rainbows. Williams Fork Reservoir is producing a few lake trout in depths of 40 to 60 feet.